End of Life-When Do You Need Mediation? Why do some families need mediation at the end of life? Mediation is a voluntary process in which the parties, with the help of an impartial third party mediator, work together to resolve their differences or solve a problem they were unable to address satisfactorily without help. These family differences especially happen to dysfunctional families but can beset any family at the end of life. They are faced with overwhelming emotions and decisions that demand that the family work together as a team. What happens to dysfunctional and even nearly normal families during this trying time? They don’t gather as a team. They fight. They fret and they feud. What are the results of this fighting, fretting and feuding in families at the end of life? 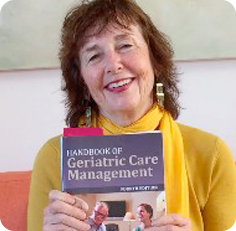 I will speaking this Friday April 19, 2013, at National Association of Professional Geriatric Care Managers on “The GCM as the Accidental Mediator: Fretting and Fighting or Feuding: Intergenerational Conflict in the Adult Family at End of Life”, in Philadelphia, Penna. If you are attending the conference, I will look forward to meeting you.